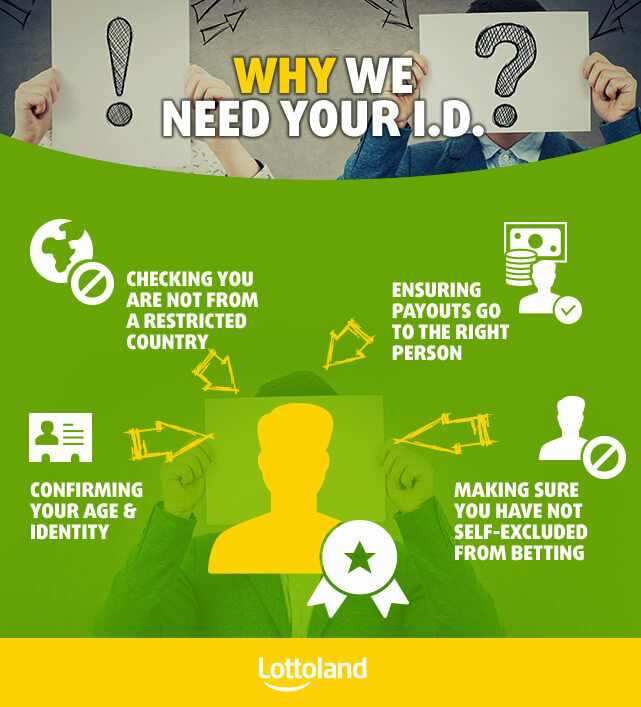 A frequent question which we get from our customer feedback at Lottoland is why we require our players to provide photo ID before they're allowed to cash out their winnings. The concern is understandable, with identity thieves and "too-good-to-be-true" lottery scams preying on unwary internet users. You don't want to bet with a website that can't be trusted to payout your winnings in full or one which intends to use or sell your personal details. Lottoland is fully licensed and regulated by the UK Gambling Commission (UKGC). This means that Lottoland is required to follow all of the UKGC Licence Conditions and Codes of Practice (LCCP). In other words, Lottoland has to maintain the highest standards of fairness and security in order to remain compliant with these licencing conditions. Lottoland uses the official lottery results as the outcome for placing bets so we have no influence on how the numbers come out - if your numbers match the official lottery results you will win the same prize. Our Jackpot payouts including any with the DoubleJackpot, NumberShield, special Jackpot boost promotions are paid out either by Lottoland directly from the revenue they receive from sales and/or (in the case of larger jackpot wins) by Lottoland’s insurance model. This policy has been authenticated and validated to prove that all winnings can be paid out by Lottoland. No one likes giving out their photo ID's or other personal details over the internet - and rightly so. However when you gamble online your personal information is required in order to ensure that important public policies are safeguarded. For example, we need a photo ID to verify that you are at least 18 years old. By requiring photo ID we not only meet the UKGC's regulation requirements but also provide an extra layer of protection against young people trying to buy lottery bets before they are of age. More importantly your ID is crucial to ensure that should you win the jackpot, or any of the other bigger prizes, no-one else can claim your winnings. Recently we paid out a record-shattering €90 million (around £79M) jackpot to Christina after she verified her details to ensure that the money was going to the right person. Rest assured that any personal information that we hold is held in a safe and secure environment as we have the most up-to-date encryption systems that major banks use.